UPDATE 4/30: A more detailed memo has now been posted for approval by the CHSRA board this Thursday. It describes the first phase, the last phase (full four-track build-out), but nothing in between describing what all these intermediate phases might actually look like. 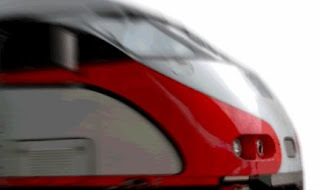 Original Post: The California High-Speed Rail Authority has now posted their description of what 'phased implementation' means for the peninsula. The Phased Implementation Fact Sheet and Phased Implementation Q&A are the first documents posted to the CHSRA's San Francisco - San Jose document library following an eight-month dry spell. Look for this to become the new buzzword.